When we consult the Runes, it is our need that summons the energy of the Runes into sacred play. Pre-dating the use of runes as a system of writing, the runes were and continue to be used as an oracle (or channel) for wisdom, insight, and protection. 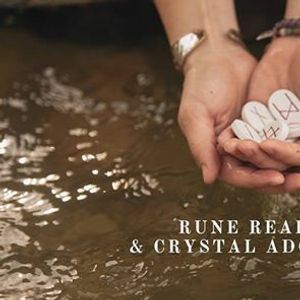 Join modern medium & healer, Natasha Allain, in a weekend of rune reading and crystal adornment. 1) A THREE RUNE CASTING. 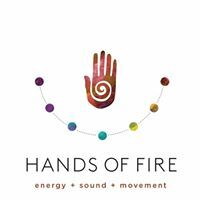 In this casting, Natasha will open her channels, addressing a particular issue or question you have at hand, while examining the heart of the matter, a challenge you may experience, and a path leading forwards (a sneak peak into the possible future). With your permission, Natasha will call forward any guides, ancestors, or past lives that may offer you wisdom and support at this time in your journey. 2) A CRYSTAL ADORNMENT. 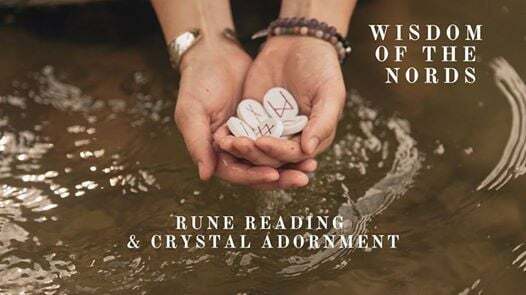 In the completion of your rune reading, you and Natasha will move into the intuitive curation of your crystal adornment. There will be a selection of crystals to call on for support and energetic balance. And before your eyes, deep in ceremony, Natasha will curate a crystal bracelet for you to adorn yourself with daily and/or in times of need. WHAT: Rune Reading & Conscious Adornment for $60. Each reading will go for 30 minutes. Please show up 5 minutes before your reading time and leave space in your schedule for the possibility of a 5-10 minute delay in schedule. HOW: Pre registration is preferred for crystal stock. You can purchase tickets online at the link provided, can call in or come into store. With space permitting, event day reservations will be taken! MORE ON THE VIKING RUNES! No one knows exactly how old the runes are. Rune-like symbols were inscripted in caves as early as the late Bronze Age (circa 1300 BC), they were mentioned in the Bible, and discovered on many different lands, following the exploration of the Nordic people, also known as the Vikings. According to the perspective of the Germanic peoples themselves, the Runes came from no such source as mundane as the Old Italic Alphabet. Oh no! They proclaim that the Runes were not thought up nor invented. Instead, the myths reveal a story of Odin - a widely revered Nordic God, father of Thor, and seeker of great knowledge - hanging upside down from the Yggdrasil, or World Tree, peering into the wise waters of the Well of Urd. For nine long nights, Odin hung on this tree with no food or drink. And in this state of sacrifice he withered, until he peered into the depths below and spied the Runes! With this, he seized them up and then overcome with dizziness, he fainted and fell. Once he awoke, he spoke of a renowned wisdom which brought him joy and sustenance for self growing. We are living in an age of radical growth and self evolution. The lessons come faster and faster as our souls and the Universe (enter in your concept of Source) guide us into new spaces for growth and prosperity. You are your own guide, your own creator, and at the end of the day you determine the meaning or importance behind each scene and circumstance. The well known Swiss Psychologist, Carl Jung, affirmed that “theoretical considerations of cause and effect often look pale and dusty in comparison to the practical results of chance”. Suggesting that nothing is too insignificant to inspire or let forward a moment of inner knowing or self-guided direction.